Nanuku Auberge Resort Fiji has once again been recognised for its superior service receiving a much coveted TripAdviser “Travelers Choice” award. Based on reviews and opinions received from literally millions of international travellers, this latest accolade recognises the Pacific Harbour-based resort as being among the top 25 hotels – both large and small — in the South Pacific for its luxury and service elements. The award builds on a TripAdvisor “Certificate of Excellence for Superior Service”, Nanuku received in 2016. The resort is again in the running to win a much sought-after ‘Best Dining Experience’ title at this year’s ‘Fiji Excellence in Tourism’ awards for the second time having won the prestigious award in 2016. Paying tribute to the Nanuku team for the efforts they go to in ensuring the resort continues to receive these accolades, a delighted Director of Sales and Marketing, Shashita Nand said after client recognition, industry acknowledgement was highly appreciated. “We are extremely honoured to have received this accolade,” Ms Nand said. 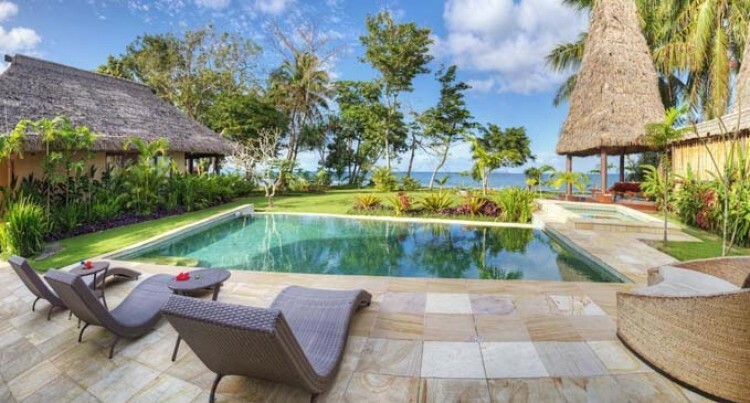 Heralding a new era for Fiji tourism and taking the destination’s luxury resort offering to levels previously unseen, Nanuku Auberge Resort Fiji is the first all-villa boutique resort to be built on the main island of Viti Levu. Nanuku Auberge Resort Fiji’s location in the heart of the Pacific Coast, aka “Fiji’s Adventure Capital” presents guests with access to myriad activities ranging from golf, zip lining, white water rafting, surfing and diving. Nanuku Auberge Resort Fiji is the proud recipient of a TripAdvisor “Certificate of Excellence” in both 2015 and 2016 and a 2016 “Fiji Excellence in Tourism” award. Auberge Resorts Collection owns and operates a portfolio of exceptional hotels, resorts, residences and private clubs under two distinct brands: Auberge Hotels and Resorts, timeless luxury properties acclaimed for their intimate, understated elegance, and VieVage Hotels and Resorts, a new lifestyle brand that brings together contemporary themes of design, community and wellness captivating design, exceptional cuisine and spas, and gracious yet unobtrusive service. .